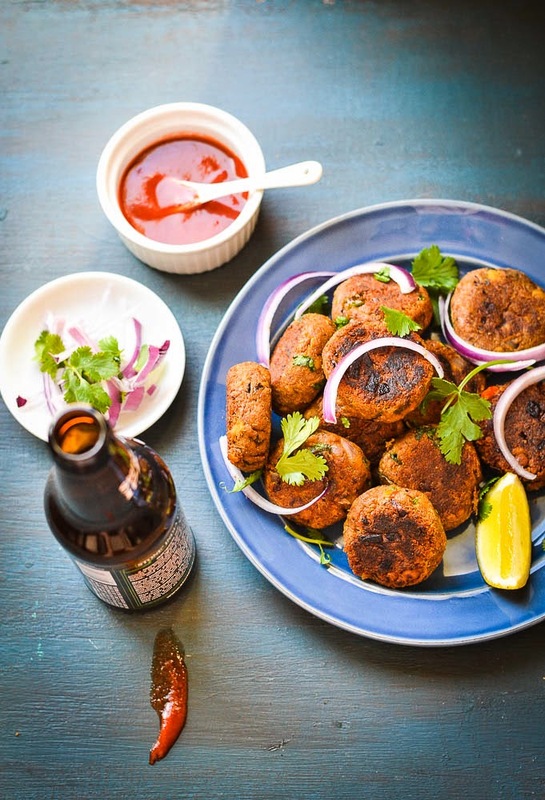 Shami Kebab / Shami Tikka is a popular snack in Indian Cuisine. Like many other non-vegetarian dishes, it was introduced to South Asia during the Mughal period by Muslim immigrants from the Middle East. 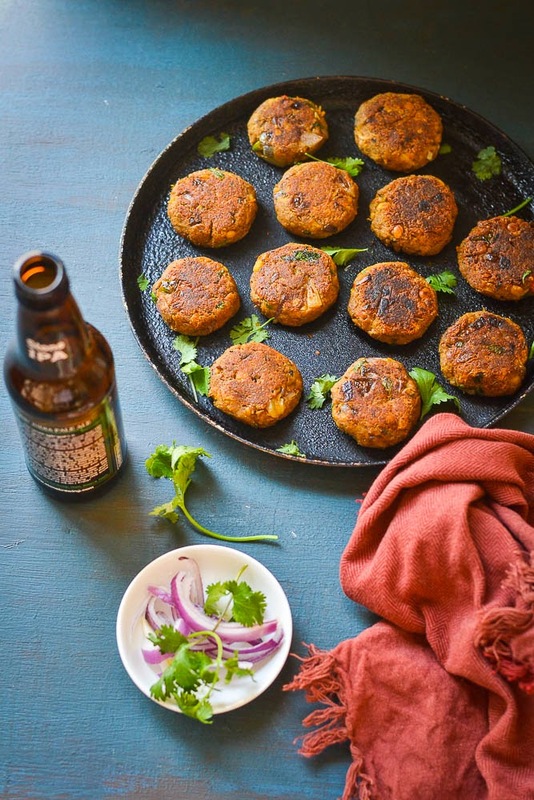 It’s made of a richly flavored small patty of minced meat. Usually, lamb / goat / beef meat is used with ground chickpeas and egg that helps to hold it together. 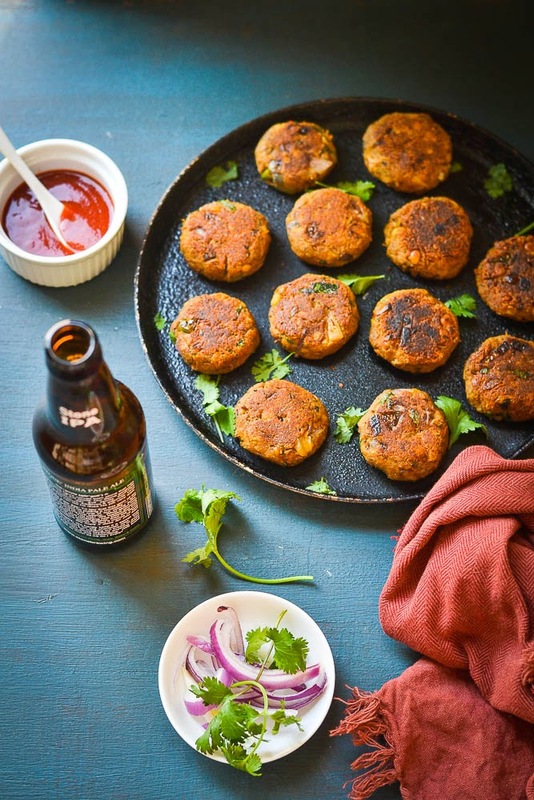 This yummy appetizer is normally served with ring onion, lemon and some green chutney of coriander or mint. Today I will share the recipe of this tasty appetizer that I made a couple of weeks back for a party at my home. 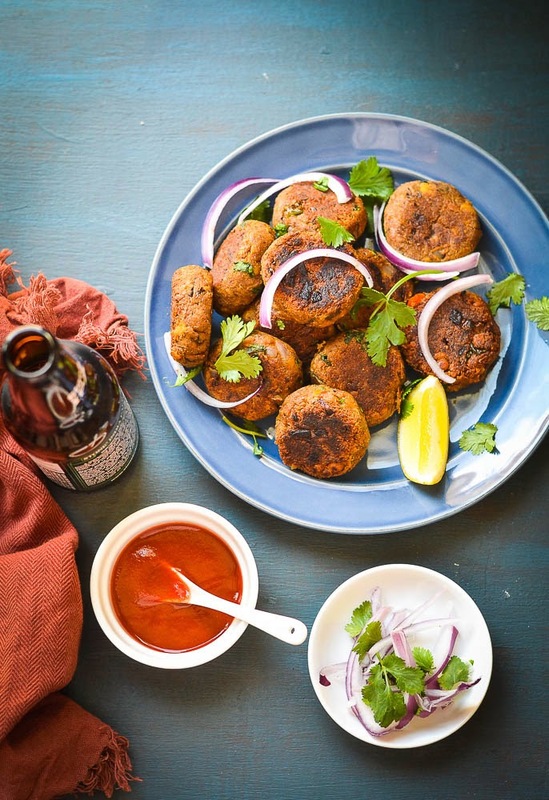 The aroma of the dry spices combined with meat and pulses make this dish very delicious. 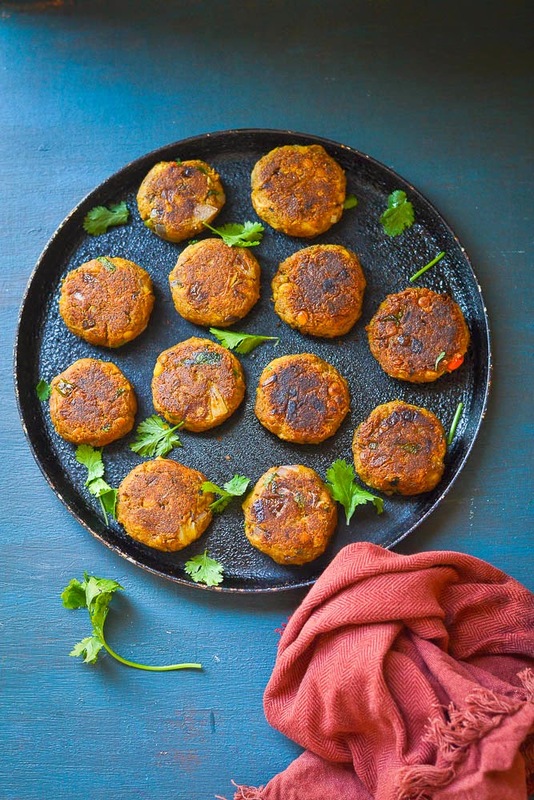 It not only tastes melt in the mouth, it’s healthy too as it’s not fried but slowly cooked on a tawa / skillet. 1. Soak the chana Dal (Bengal grams ) in water for 2 to 3 hours. Wash, rinse and then put it in the pressure cooker. Add a cup of water to it, cover the lid on and cook it on medium heat until three whistles come. Let the steam release on its own. Once it is done, Open the pressure cooker, discard the extra water and keep the cooked dal aside. 2. In the same pressure cooker, add chicken / mutton and add 1 cup water. Cook it on medium heat until the meat is cooked. ( if you use chicken 2 whistles is enough, if it is mutton then 4 whistles ) Let the steam release on its own. Preserve the chicken stock for other recipes. Discard the bone parts and set the chicken/ mutton aside. 3. Take a big non-stick pan, add 2 tablespoons of oil and heat it up. When oil is hot, add chopped onions, saute the onion for a couple of minutes. Add chopped green chilies. Add grated ginger and garlic, cook it until raw smell goes off. Add cooked chicken or mutton. Give some stirs. Add red chili powder and garam masala powder. Add salt and cooked chana dal . Mix it together. Switch off the gas and let the mixture come to room temperature. 4. Take a blender, add the mixture to it grind it to a coarse paste. 5. Transfer it from the blender to a plate. Add finely chopped onion and cilantro. Add lime juice and mix well. Check the seasoning. 6. Now divide the mixture into equal portions and shape into flat rounds. 7. Take a nonstick pan, add butter / clarified butter / oil or grease it with non-stick spray. Add kebabs and cook until both sides are golden brown color. 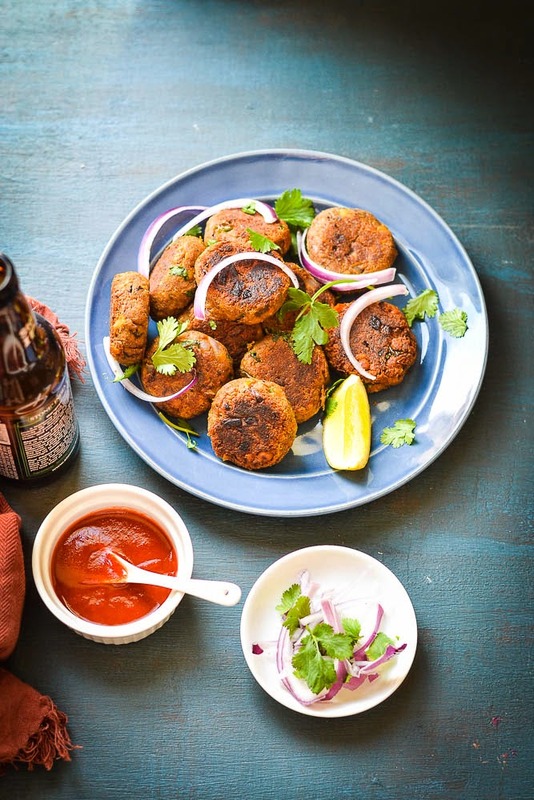 Serve hot as an appetizer or a snack with ring onions, lemon and some green chutney of coriander or mint or tomato ketchup. This looks so delicious!! I'll definitely have to try this out the next time I'm looking to make appetizers for a dinner party.